There was a time, not too long ago, when PPC (pay-per-click) advertising, all by itself, could produce an ROI worth your interest. Times have changed, and today’s consumers require a bit more work to make you worth their effort. That doesn’t mean you have to work harder; it simply means you have to adjust your strategies. 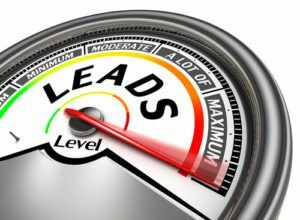 If you’ve employed a PPC strategy, you’re not necessarily doing anything wrong; but if that’s your sole marketing strategy, it’s time to improve your marketing efforts with HVAC lead generation techniques that can enhance your bottom line. In short, PPC works well when it’s integrated into an entire plan of marketing techniques. If you’re going it alone on the PPC front, you’re only putting yourself in front of a fraction of consumers who may actually click onto your pages. When you incorporate this tactic with other styles of marketing like direct mailers and retention strategies, however, you’ll see a world of difference when your schedule starts filling up with appointments. Building Relationships. When you’ve already done a great job for someone, they’re not looking for an ad to click on. It’s up to you to keep them coming back. PPC only does so much. If you rely solely on it, relationships are lost. Follow-up campaigns and personalized strategies can help you get in touch with customers and build upon your relationships. Generating Leads. Leads and referrals generated from your past customers are EXCLUSIVE, you don’t have to bid on them, and you will have a much higher chance of closing them than PPC. Need we say more? Increasing ROI. Paying for each lead isn’t necessary when you employ the right marketing strategies. With a single campaign, you can welcome valuable feedback, and keep in touch consistently. Is Your Website Killing Your Real Estate Business?